Darth Vader, the former Anakin Skywalker, has endured as the villainous focal point for the Star Wars saga from its inception. 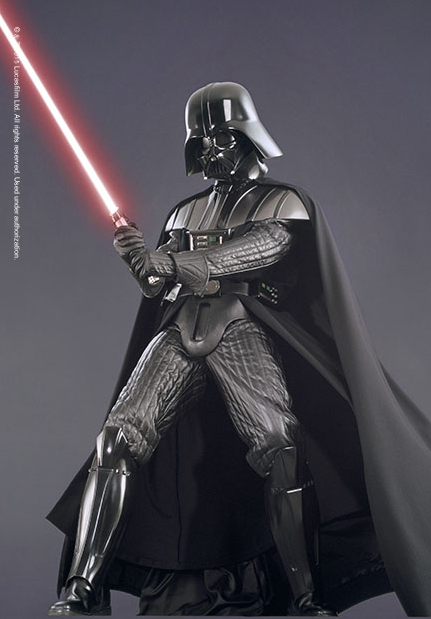 Based on George Lucas's concept of the dark villain, artist and designer Ralph McQuarrie produced the first glimpse of Darth Vader in what are now famous sketches and paintings. Those images helped George Lucas successfully promote his ideas and sell the film to 20th Century Fox executives in 1975. 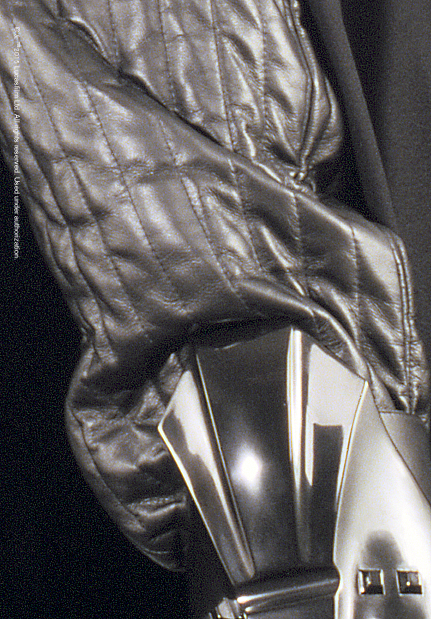 Perhaps more than any other character, Vader’s iconic costume is synonymous with his identity. In the summer of 1975, artist Ralph McQuarrie and George Lucas worked together to invent some of the key Star Wars™ characters. In the earliest concepts of the uber-villain Darth Vader, George Lucas told artist Ralph McQuarrie he wanted him to look like a "dark lord riding on the wind" with black flowing robes, a large helmet like that of the Japanese Samurai, and a silk mask covering his face. 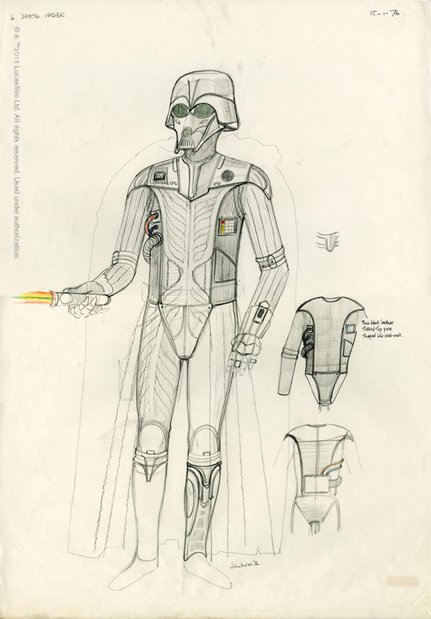 In 1976, production designer John Barry and costume designer John Mollo were responsible for creating a suit for Darth Vader based on the McQuarrie concept. Using clay, artist Brian Muir sculpted the helmet and hard costume pieces. 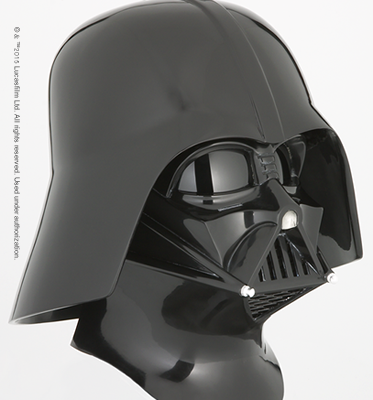 He also sculpted around the “head cast” and produced Darth Vader’s distinctive face, based on Ralph McQuarrie’s design work. Plaster molds were made of the sculpted clay face, helmet dome and armor. From these molds, the final fiberglass cast helmets and armor were produced.